Young men and women on the Near Northwest Side. A group of 50 black men, handcuffed in pairs, is marched into the courtroom at 11th and State on a Saturday morning at 8:15. They were arrested the day before for disorderly conduct and spent the night in jail because they could not pay the $50 bail bond. The bailiff calls out 10 names, asks the men their birth dates and tells them to go home. The entire group is dismissed in this way. After 10 minutes, another batch of men, most of them black, is marched into the courtroom. The routine is repeated, as it will be the rest of the day and every day after. This is a scene that is becoming increasingly familiar to many Chicago residents, particularly blacks and Latinos. During the first six months of this year, the number of disorderly conduct arrests jumped sharply, mostly in predominantly minority police districts. An analysis of police records by The Chicago Reporter shows that in the first half of this year there were 97,221 disorderly conduct arrests in Chicago. That figure represents 62 percent of the 156,529 such arrests for all of 1981. The analysis also found that those arrests are escalating most rapidly in predominantly black police districts. In the five districts with populations of 70 percent or more black, the number of disorderly conduct arrests was 21,906 as of June 23, slightly more than 70 percent of the 31,192 such arrests made there in 1981. In contrast, in the eight districts with populations 70 percent or more White, there were 24,004 disorderly conduct arrests in the same period this year, or almost 52 percent of the 46,530 such arrests in all of 1981. These arrests have risen in Latino neighborhoods as well, but because of police district boundary changes resulting from the creation of the 25th District, the figures are not comparable for 1981 and 1982. The sharp increases are particularly significant in light of the charges of police harassment and brutality from residents and leaders of the city’s minority neighborhoods. Disorderly conduct is a catch-all arrest category. The Municipal Code defines it as an offense committed any time a person knowingly does any act in such unreasonable manner as to provoke, make or aid in making a breach of peace. Disorderly conduct arrests total almost half of all arrests each year, and thus become one of the main contacts between police and community residents. It is interactions like disorderly conduct arrests, identification checks and other street contacts that give rise to much of the tension between police and citizens, both city officials and community leaders agree. Officials of the Chicago Police Department also admit they are using arrests for disorderly conduct increasingly to check gang activity. “There is an increase of disorderly conduct arrests this year. That’s due to the new gang crimes unit. Throughout the city, an influx of arrests are made of teen-agers suspected of being gang members,” says Lemon Works, commander of the almost all-black District 2. “Each day, the gang crimes unit south, which is located here in the back (of the district office), makes from 75 to 100 arrests for disorderly conduct in my district,” he says. Police officials add they are simply enforcing laws more strictly than before, particularly those laws prohibiting drinking on street corners or in parks. ”If people are drinking in public places, we will arrest them. We will not tolerate that kind of behavior anymore,” says Pleines. And the police say they are doing nothing more than responding to the community complaints when they use such tactics. “The community dictates your philosophy,” says Joseph Mullin, District 5 commander. But some community leaders challenge those assertions. While many disorderly conduct arrests are made for definite breaches of the law, many others appear to be unjustified, they say. “It’s harassment tactics. If all else fails, the police charge them with disorderly conduct. Basically it’s a control mechanism to show what police can do. It’s also a means of meeting their arrest quota,” says Aurie Pennick, a fellow at the Chicago Community Trust and until recently executive director of Citizens Alert, a citywide non-profit organization concerned with crime and police. The Rev. Jorge Morales, president of the West Town Concerned Citizens Coalition, a Latino community group, echoes the charges. “It’s nothing more than harassment. The poor have to pay bail, lose a day’s work and then the cop does not show up in court,” he says. The result is the charge is usually dismissed, according to the clerk of the 1st Municipal District Court. The increase of disorderly conduct arrests, and renewed charges of police harassment and brutality of minorities, have come in the wake of Mayor Jane M. Byrne’s order last October for a crackdown on gang crime. That same month, Police Superintendent Richard J. Brzeczek responded by reorganizing the department to create the Bureau of Gang Crime Suppression. He promoted the controversial commander of the 13th District, Joseph McCarthy, to deputy superintendent in charge of the new unit. In February, the unit was enlarged to include forces to crack down on crime on the CTA and in public housing, and renamed the Bureau of Tactical Field Services. McCarthy says his unit has 700 officers working in it. In the first six months of 1982, McCarthy’s men made 62,877 arrests, 45,092 of them for disorderly conduct, or almost half of all disorderly conduct arrests as of June 23 this year. “I think the increase of disorderly conduct arrests is due to the mayor, the superintendent and deputy superintendent who have said, ‘We are going to give you the manpower to clean up the city,’ ” says Pleines. Much of the criticism of the Police Department by concerned leaders is focused on McCarthy and his methods of police work. McCarthy has a history of using disorderly conduct arrests as one of the primary weapons against crime. In 1978, when he was 18th District commander, gay organizations complained about raids on gay bars and the high number of disorderly conduct arrests. In 1979, he became 19th District commander. During his first two months there, disorderly conduct arrests shot up from 300 to 500 a month. In April 1980, McCarthy became commander of the 13th District, a largely Latino area plagued with gang crime. Again, McCarthy responded by using the tactics of increased contact between police and residents on the street and disorderly conduct arrests. The number of those arrests rose dramatically, from 8,724 in 1980 to 12,358 in 1981. Community leaders see him quite differently. “His tactics are Gestapo; they are not professional police tactics. He is creating hostility and tensions in many communities,” says Pennick. Morales recalls the year-and-a-half when McCarthy was commander of the 13th District, which includes West Town. “The guy is technical, he’s a machine. He plays the role of enforcing the law, and he had his officers arresting everyone in the community for the slightest things,” Morales says. Some observers say that McCarthy is even causing problems within the Police Department. According to one police source, a black commander questioned the legality of some of the disorderly conduct arrests in his district and complained to the superintendent. The mayor summoned the commander to her office, along with Brzeczek and McCarthy, and instructed him not to question the arrests, the source says. Police officials note that the number of murders, including gang-related slayings, has dropped this year. They point out that gang killings, which reached a three-year high of 69 in 1981, had dropped to 30 as of August of this year. But they admit that serious crime so far this year remains about the same, with a slight increase. Few deny that many minority neighborhoods have some gang activity, but some leaders question the fairness of the way the new get-tough attitude is being handled. “I think strict enforcement of the law has to take place, but you have to question if selective enforcement is being made,” says Miguel Del Valle, executive director of Association House of Chicago, a social service agency in Humboldt Park. ln 1980, the last year for which police data is available for race of arrested persons, 89,382 blacks were arrested for disorderly conduct, compared to 17,931 Latinos and 33,270 Whites. Pennick says that while McCarthy’s unit is particularly bad-“they call themselves ‘ghetto raiders: ” she says-pol ice misconduct in general this year has been among the worst she has seen . Citizens Alert received 108 complaints of police abuse in the first seven months of this year. For example, Oliver Guyton, a 28- year-old black man, was leaving a store in Austin last May at about 9:30 p.m. Two white police officers approached him and asked for identification. He gave them a fictitious name. When the officers took him to the 15th District headquarters, they discovered his ruse. There, Guyton claims, the arresting officers began beating him up. He was charged with disorderly conduct. He paid the bail bond and complained to the Office of Professional Standards, which handles charges of police abuse (see related article, page 4). When his case came to court, the charge was dismissed. His complaint at OPS is still pending. Most police officials admit some brutality occurs, but they say those are isolated incidents and should not reflect on a police department of over 13,000 officers. Some district commanders say they preach the line of good conduct to their men each day. “I’ve indicated to my people that I would not tolerate brutality or discourtesy: ‘ says Orvel Ricks, commander of the 6th District. But McCarthy does not share the same view of police misconduct. He spent one year as an investigator in the Office of Professional Standards, the job he has least liked as a policeman, he told an interviewer in 1979. Community leaders say that this kind of insensitivity permeates the police force, and extends to the mayor. Earlier this year, after the police made dragnet searches for two black suspects in the murders of two white officers on the South Side, Citizens Alert sent a telegram to Byrne saying that police-community relations were at an all-time low. The mailgram was signed by 40 groups, including Operation PUSH, the Chicago Urban League, Community Renewal Society and the West Town Concerned Citizens Coalition. The group met with Byrne in July and recommended that ‘McCarthy’s unit be disbanded and harassment of community residents halted. The mayor told the group she supports Brzeczek and all his deputies, and that she would make no changes in policy. “It is obvious that the mayor is not concerned with this serious problem,” Pennick charges. Pennick and others say they believe that most police are good and hardworking, and agree that the proportion of abusive police is small. But they say they worry that if the abusive officers are not checked, police brutality could increase. Some groups suggest that the city has never seriously addressed the problem of pol ice misconduct. 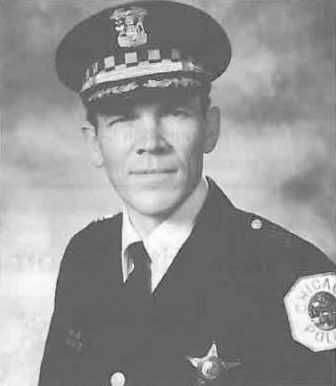 They condemn the Office of Professional Standards as a failure, and they point to what they call “insincere” efforts, like the civilian police review committee Byrne established in 1980. 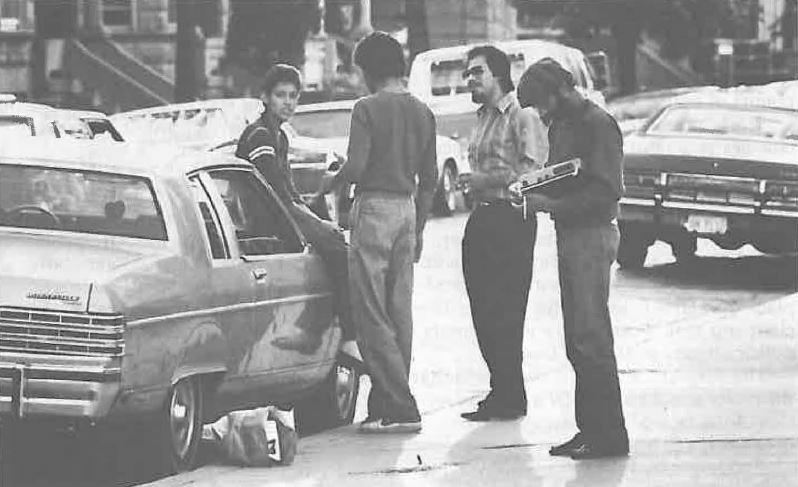 The committee, composed of six civilians, was established in 1980 to investigate complaints from minorities about police actions. The committee never officially functioned, and closed shop after three months. citing a lack of office space, staff, budget or formal authority. The department’s Bureau of Community Services, established to improve relations between police and citizens, spends most of its time on crime prevention programs, and avoids handling complaints of abuse, critics charge. Minorities also argue that the police force does not hire and promote enough blacks and Latinos, which causes a further strain in the community. As of June 1982, 73 percent of the 10,521 officers were white, 18 percent were black and 2.9 percent were Latino. Of the 75 captains, 73 were white, one black and one Latino. In positions above that level, the pattern continues: 81 of the 99 ranking officers were white, 13 black and two Latino. Some wonder if relations between police and minorities can ever be completely harmonious. “The role of police in urban cities has historically been to control those classes which society views as ‘suspicious’ and ‘criminally inclined’-which is synonymous with the poor, blacks and Latinos,” says Lawrence J. McKeon, instructor of public administration at Roosevelt University and a former lieutenant with the Los Angeles Police Department. “Police only mirror society’s prejudices about minority groups,” Morales says. “This city has a lot of hate for police. It’s a shame. Law officers should be respected. Nancy L. Jefferson, a police board member and executive director of the Midwest Community Council, agrees there is little sympathy from police officers for minority citizens. “There’s more police insensitivity and brutality in black and Latino communities, absolutely. That’s a given,” she says. “Their police job description tells them what to do. If you do not perform to your job description, you have to go,” she says. ”I’ve learned through my years in civil rights that people will not change their racism, but they will change their acts. Intern Sharon Peshkin assisted in the research for this article. The Residential Landlord Tenant Ordinance gave renters legal protections from bad landlords, but a proposal to change it would leave certain penalties to a judge’s discretion.